An honest income-tax officer from the 1980s conducts one of the biggest raids of his career. A raid on the White House. Yes, you read that right. That’s the premise for Raj Kumar Gupta’s Raid. 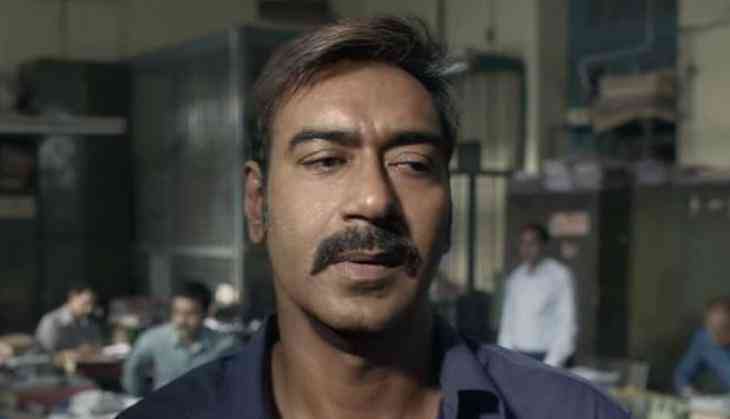 The raid is planned and executed by Amay Patnaik (Ajay Devgn) and is based on true events – based on the life of Sharda Prasad Pandey – in Lucknow in the early 1980s. Patnaik is a man who is forever being transferred, playing by the rulebook – something established early on when he refuses to enter a club that insists he wears shoes. This time, Patnaik has landed upon Tauji (Saurabh Shukla), one of the most well-connected businessmen. This is Devgn's most unintentionally hilarious film in a while. No wonder he hasn't had a critically acclaimed film in some time. While Devgn is serious with his heavy-hitting lines, all you want to do is just laugh at the way he delivers them. This a thriller punctured by many nauseating and unending sequences between Devgn and Ileana D'Cruz, showcasing their romance. What we needed was high-voltage songs but instead we got melodramatic breaks to the tune of Amit Trivedi’s music, who clearly wasn’t at his best. These breathers hark back to the days of Bollywood when the only way to showcase a romance was with the two leads alone on screen looking lovingly at each other while some song plays in the background. They do not work in Raid, not one bit. The pacing of the film is somewhat like the streets of India. Every once in a while you get a clear road and zip along, but then a bump comes up and ruins everything. The script is loose, which is the worst that can be said of a thriller. It’s filled with several moments of Devgn finding hordes of cash with the same expression each and every time. Each and every wall spits out cash and gold coins and chains like no other. But every wall seems a carbon copy of the previous one. This coming from a director who brought us No One Killed Jessica and Aamir makes it an even more disappointing watch. Ever-brooding Devgn is far from the most interesting part of this movie. With his dialogue-heavy performance, Devgn isn’t up to scratch. Even Ileana – who doesn’t have much to work with – ends up being relegated to the tiffin-wielding devout wife of Patnaik. Shukla, essaying the role of a MLA who zips around Delhi trying to shut down the raid on his own house, is the most interesting of the characters. Shukla along with old diabetic ‘mataji’, inject some life into the unending raid. ‘Mataji’ is sharp with her wit. The film could have worked if there was more attention to detail from Gupta. The relationship between rich business families and those corrupt officers wanting a quick buck could have been fleshed out and serve as an entertaining anecdote to the movie. Along with that, if the pacing of the film was sorted, then this might have been an entirely entertaining thriller. Lastly, just to inject some spice into the film, the filmmakers have clubbed two separate incidents into one. With the real-life Lucknow raid of 1981 being peaceful, the filmmakers decided to use bits of another raid in the late 1980s. That one included violence. One can understand why Gupta felt the need to do this, but in doing so, he does a disservice to his viewers and history. You can probably give this one a skip. With its back-and-forth moments between Devgn and Shukla ending with the same emotions, and the blaring background music not helping, this movie is skip-worthy. All this does is to serve as a distraction from the lack of drama traversing on screen. Raid is a movie that could have been taut but ended up being loose thanks to the flat lead and a soundtrack not worthy of a thriller. Gupta, unlike his first two movies, has let his audience down. The Millennials have created a whole new lingo; are you on board? READ NEXT >> The Millennials have created a whole new lingo; are you on board?